A Bathymetric grid of Jarvis Island at 20 meters. 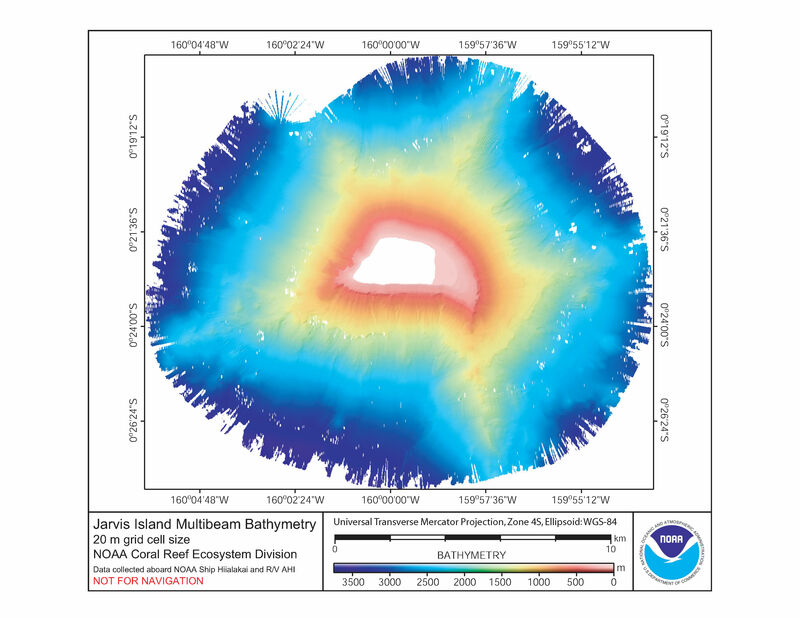 A Bathymetric grid of Jarvis Island at 5 meters. Notice the large shoal on the east coast, which can easily be seen in aerial photography. 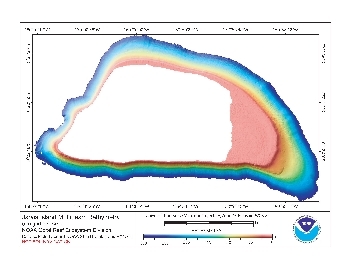 This shoal is another reason why landing is more easily accomplished on the west coast as opposed to the east coast. 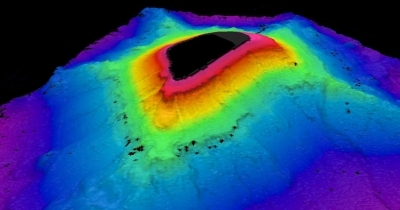 3D view of a Bathymetric grid of Jarvis Island at 5 meters.